Nightstand Shown with Poster Bed, Chest, Mirror and Dresser. 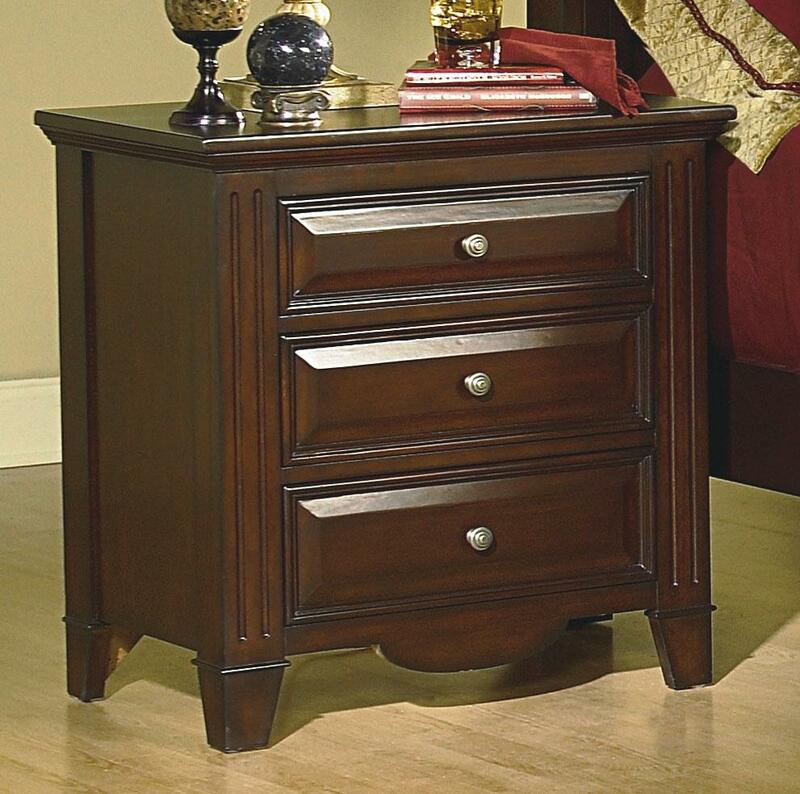 Perfect for all your bedside storage needs, place books, magazines or other items inside any of the three, ample sized drawers of this Traditional nightstand. A durable table top is also a great place to set a lamp for additional light or other items that need to be close at hand, such as a beverage or glasses. Finished in a deep, Bordeaux finish and accented by bright metallic knobs, the nightstand makes an elegant addition to your guest or master bedroom. The Drayton Hall Three Drawer Nightstand by New Classic at Miskelly Furniture in the Jackson, Pearl, Madison, Ridgeland, Flowood Mississippi area. Product availability may vary. Contact us for the most current availability on this product. Traditional accents meet functional storage with the Drayton Hall collection. Pieces feature several ample sized drawers for the storage of all your clothing or bedding accessories. 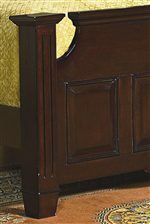 The Drayton Hall collection provides your guest or master bedroom collection with a regal elegance; featuring solid poster accents, framed dresser drawers and bed accent panels, and dazzling metallic hardware pulls and knobs. 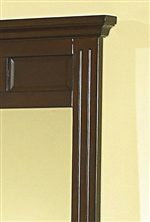 The Drayton Hall collection is finished in a rich, warm Bordeaux finish that instantly elevates your decor. Enjoy the deep, luxurious sophistication of the Drayton Hall collection in your master or guest bedroom today. The Drayton Hall collection is a great option if you are looking for Transitional furniture in the Jackson, Pearl, Madison, Ridgeland, Flowood Mississippi area. Traditional Bed Posts Add a Sophisticated Look to the Headboard and Footboard. Framed Panels and Thick Mouldings Add a Unique Touch to this Mirror. Browse other items in the Drayton Hall collection from Miskelly Furniture in the Jackson, Pearl, Madison, Ridgeland, Flowood Mississippi area.